I wish that I could do a cartwheel right now because if I could I would be doing them the whole length of my apartment! That is just how excited I am that one of my all time favorite guilty pleasures has graced my gorgeous state. Every year when I take my yearly pilgrimage to what I call my second home New York, the day I land I am in line at Laduree ordering up some delicate and colorful confections. Fast forward to a couple months ago when I found out that Laduree was opening in Miami I honestly would check their website multiple times a month. This was just to see if I could find out exactly when those wonderful doors would be opening. Well lone behold Monday February 24th was the day myself and I am sure many more have been looking forward to! 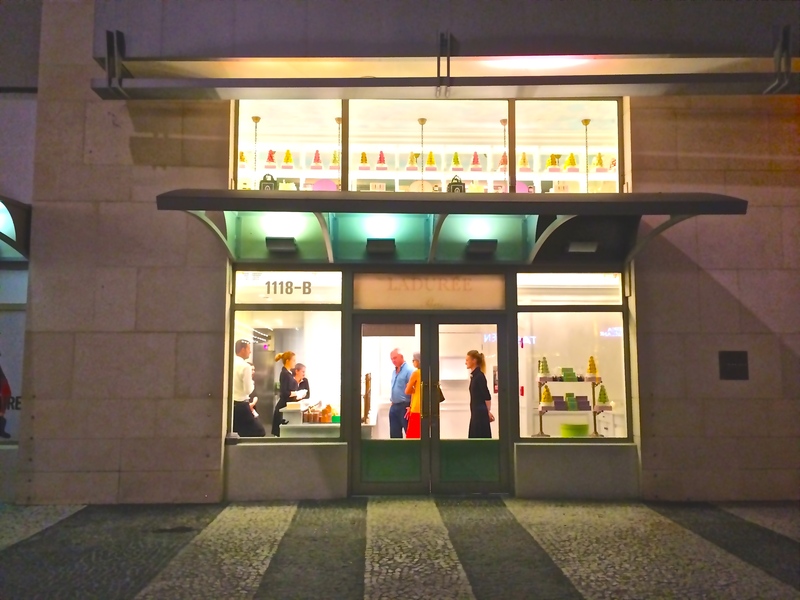 Nestled in a quaint and yet bustling section of the Lincoln Road Mall Laduree commands the attention of anyone who passes. With its beautiful macaron towers of all colors displayed all through the store this sophisticated gem is a little slice of Paris. I kept on telling the staff how truly excited I was to be there ( I honestly don’t think they understood I was prepared to wait hours for these delights!). After selecting one of every flavor and a couple extra I still couldn’t get over how surreal it felt to be there on a regular Monday night in February. 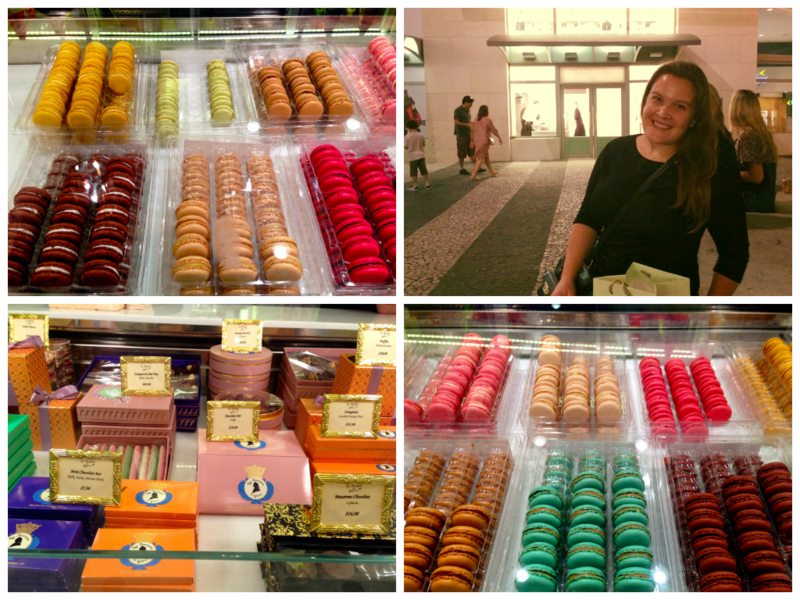 I can not wait to go back for more (now that its a car ride not a plane ride) and get my macaron fix. So when you are in the area or trying to find something fun to do I highly recommend you visit because you will never regret it! 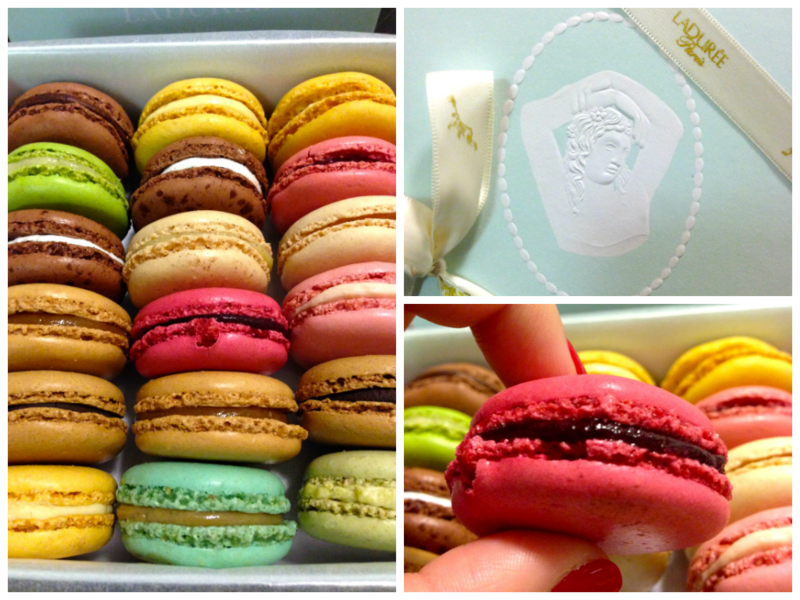 One I was home I obviously had to have one….or three, oh who cares if you have had a Laduree macaron you understand. It was just completely surreal to me that on what seemed like a typical monday for myself had somehow seemed to surprise me and it ended with me being at Laduree munching on my favorite treats. If any of you haven’t ever been to Laduree some of my favorite flavors are the rose, lemon, caramel (you may want to get two of these, you won’t want to share) and the chocolate coconut! The one I am holding in the picture below is a limited edition valentines day flavor which is wonderful sweet and a bit tart berry flavor. I hope you all enjoyed this as much as I did and hopefully I have inspired a few of you to give them a try. 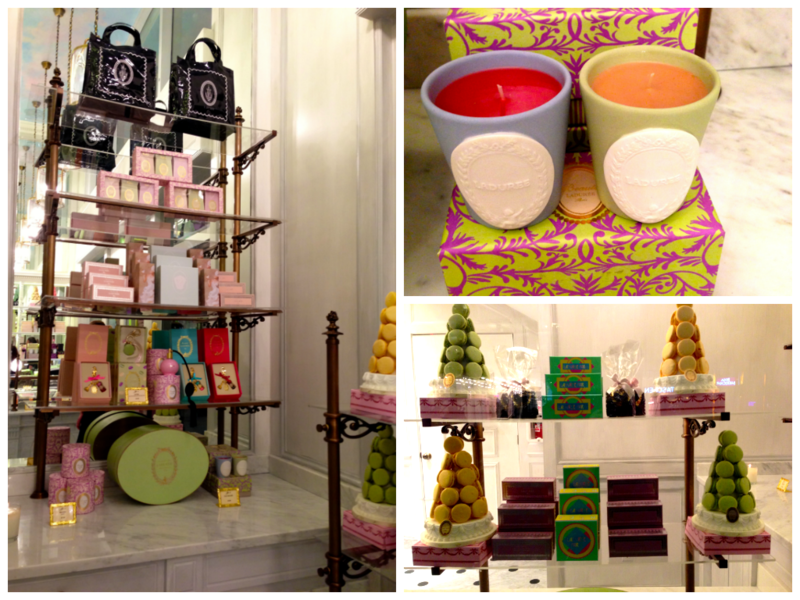 To find out exact details about the Laduree Us locations click here! I’m off because I have macrons to eat, au revoir mes amies!